Spa and Salon Solutions introduces the latest addition to its exclusive repertoire, the JESSICA range of exceptional natural nail care products, which have been developed to focus on the anatomical foundation of the nail. Jessica Cosmetics was founded in 1978 by Jessica Vartoughian, an immigrant from Romania who enrolled in a Los Angeles beauty school at a young age to simply find a vocation – and who progressed to opening the first nails-only salon in the world and becoming known as ‘The First Lady of Nails’. Focusing specifically on nails and manicures only, Jessica’s beauty philosophy has always been to concentrate on the anatomy of the nail and to treat nails from their foundation. This philosophy has driven the creation of Jessica Cosmetics and included various nail products that emphasise natural nail care from deep within. The belief that nails must be cared for and maintained in the same way as the skin, as well as recognising that all nails are different requiring individualised solutions, has ensured that Jessica Cosmetics has become the premier nail company present in over 60 countries. 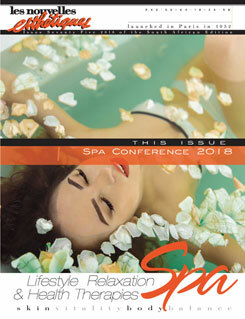 Spa and Salon Solutions is excited to bring this philosophy and these products into the South African beauty market. Included in these offerings will be the GELeration and Phēnom ranges which both include a variety of collections and colours. GELeration is a next generation soak-off gel nail system that is now used in salons worldwide. It has been created with the nurture of your nail in mind and thus offers protection for your nails while simultaneously allowing weak, bitten or problem nails the opportunity to grow and strengthen underneath the gel. GELeration nail treatments provide perfect nails for three to four weeks with a long-lasting high gloss shine ensuring a durable, non-chip finish. GELeration has super-fast drying times and can be also be removed easily after a ten to fifteen-minute soak. 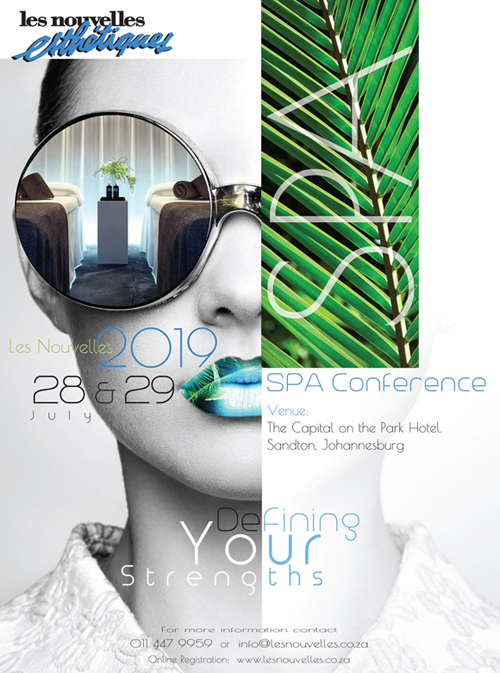 Spa and Salon Solutions will be offering the GELeration Neon Lights and GELeration Sheer Delights collections, the former including audacious neon colours and the latter including more French Manicure and natural style colours. Jessica’s Phēnom range is a revolutionary polish that acts like gel, drying quickly and lasting for up to ten days, while also removing easily like polish. The secret to this range is the combination of a flexible polymer in vivid colour polish and a photo initiator in finale shine topcoat. These elements react together when exposed to natural light to produce a tougher, chip-resistant polish with superior gel-like shine. Phēnom actually becomes harder and shinier over time simply with exposure to indoor and outdoor natural light. These remarkable benefits are built in the Phēnom #instastyle and Dancing Queens collections. The #instastyle collection was developed to provide versatile colours which can complement your entire wardrobe, including Neutral Slate Blue, Dusty Rosewood and Tawny Taupe. Alternatively, the Dancing Queens collection brings bolder and more playful colours, inspired by the disco frame of mind of the 70s. These include a bright sparkling orange (She’s Got Moves), a shimmering purple with magenta undertones (Do The Hustle) and an iridescent hot pink (Last Dance). Regardless of preference, you are guaranteed of a superior gel-like shine manicure that is tough and long-lasting. Jessica has revolutionized the global nail space and South Africa can now have access to this versatile, superior and individualized approach to nail care and beauty.